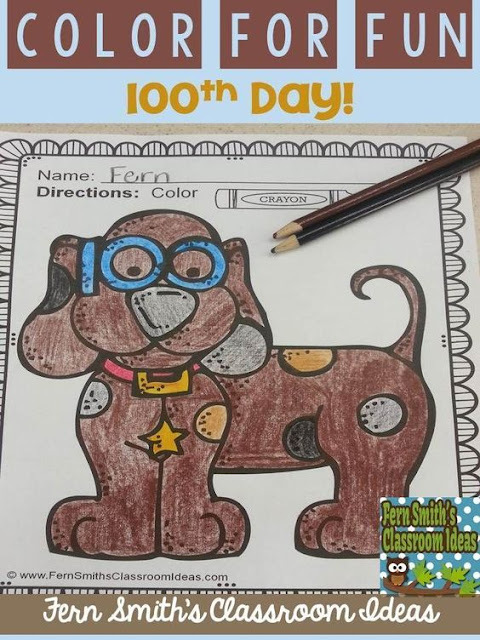 Need Something Fun for the 100th Day of School? - Fern Smith's Classroom Ideas! 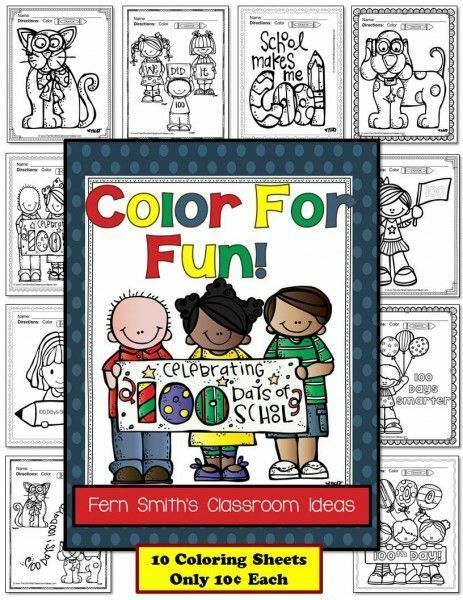 Color For Fun Coloring Pages for the 100th Day of School! 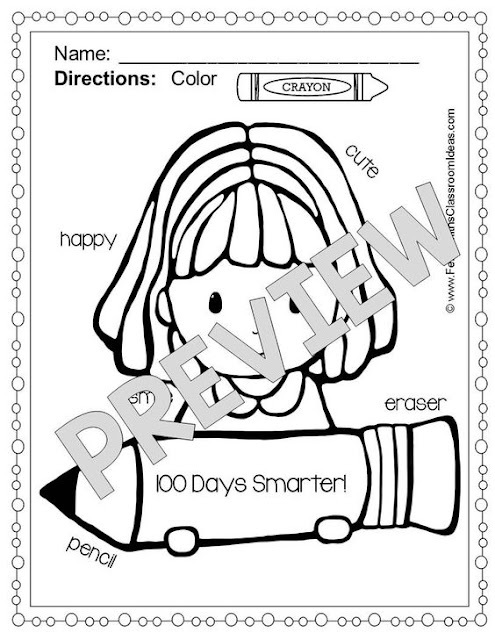 TEN 100th Day of School Coloring Pages for your classroom or personal children's fun! 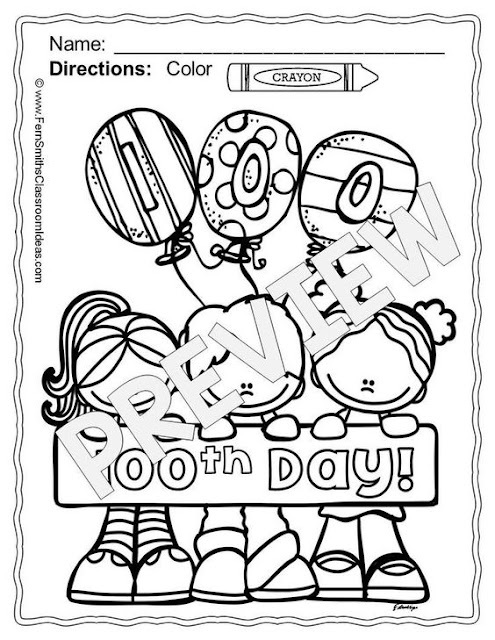 Just $1.00, print and go fun for the end of your 100th Day of School Celebration. Enjoy some quiet down time at the end of the day for a nice, smooth dismissal! Teachers shouldn't have to go home completely exhausted. 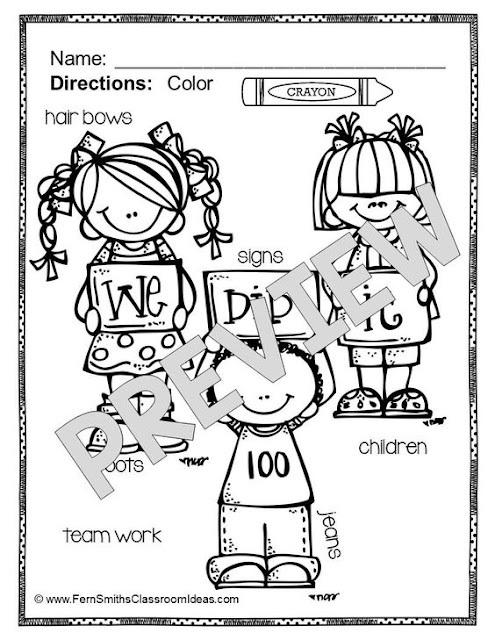 Also available, Coloring Pages for the 100th Day of School with Differentiated Vocabulary! To add a little rigor for your emergent readers, these pages are the same, but have four to five vocabulary words per page. Similar to Richard Scary books with all the fun and love developed in reading those. 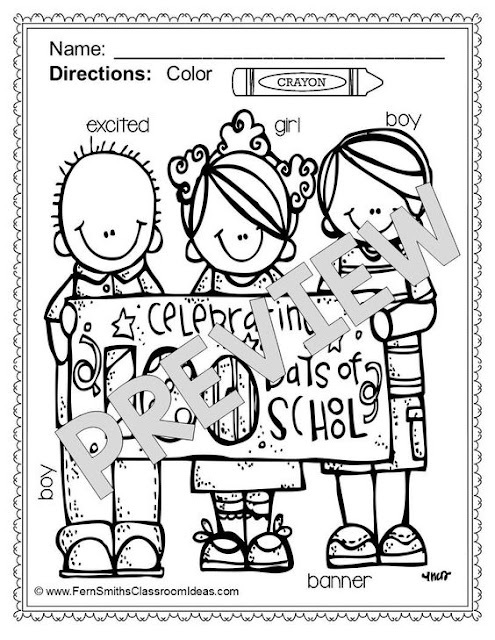 Click here to buy the Coloring Pages version with vocabulary. Click here to buy the Coloring Pages version WITHOUT vocabulary.